Today’s post is the third in our “SmartSpeak” series, which provides a forum for SmartCities thought leaders to publish guest posts. The “Austin Series” is graciously authored by thought leaders within our very own city government. 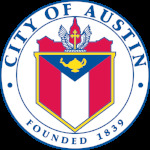 Today’s post is authored by Ted Lehr, City Data Architect at the City of Austin and is intended to introduce and provide some insight into the City's proposed Startup Access Program. You lead a startup focused on configurable smart applications that individual consumers love and that would help communities prosper if more widely and consistently adopted. Regularly, you see opportunities posted by the City or communicated by friends for solutions to challenges that City faces. Some of these may be requests for solutions, while others may be municipal grants or incentives. Intrigued, you investigate by arranging a conversation with City staff. You describe how you can configure your application to create the opportunity the City has identified, or address the challenges it wants to solve for. The City staff are clearly and sincerely delighted and excited by what they learned from you. “You just have to apply!” they say before handing you 30 pages of forms and a chart showing the decision timeline for processes like public vetting, and soliciting responses, as required under fair competition and open government statutes. Where do you think that big packet most often ends up? The good news is that the City of Austin recognizes the challenges facing startups when responding to city managed or initiated projects. For that reason, Austin wants to continuously improve the business environment for entrepreneurs and the companies they lead, and to simplify how they work with the City. What are we considering, specifically? We expect to create a project team by February of 2018. Its activities will include the recruitment of the commission members, finalizing the pilot "two pager" and selecting initial projects. We hope that by year’s end, 2018, our local startups will have given us useful feedback on the pilot program, and that startups will be working on valuable projects. We understand that there remains the opportunity to make broader changes. Building momentum from the efforts described above will be crucial to get there but, in the background, the City of Austin is working to evaluate a fuller range of changes. Some may be ‘lighter lifts.’ We expect that others will have broader impact, but would likely require significant policy and/or procedure amendments, including potential state-level adjustments. To sum up: We’re really interested in finding new ways to work with startups. We’re working on internal changes to create new opportunities for partnerships; we’re investigating short-term changes, and evaluating longer-term policy, cultural, and technical changes. As we go forward we’re quite excited to keep you informed about our progress, and hope that your startup, or one that you know, will soon be applying to a new, straightforward program that increases the ability of startups to conduct business with City.